Full time sparring session – Fight Night is on tonight! Ringen Training is on tonight! 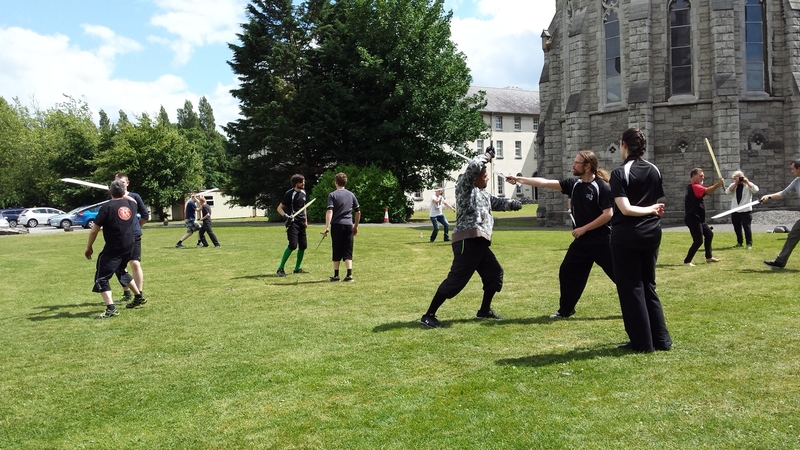 The time has finally come for a quick review of our annual HEMA Ireland Federation flagship event: Feile na Gaiscigh 2015 (Festival of Warriors). This year’s event was way bigger and better than the last one – big thanks to Neil for running it smoothly with super friendly atmosphere! 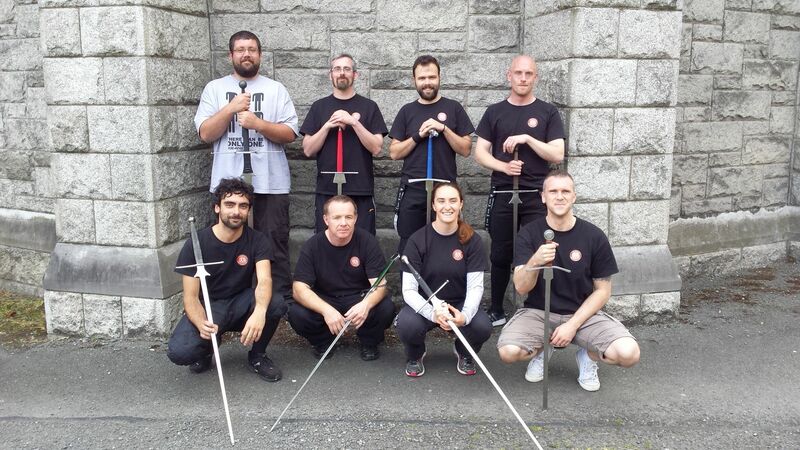 Classes were great, with good mix of national and international teachers covering full HEMA spectrum (one handed & two handed weapons, ringen and grappling, footwork and bodywork) which is exactly what everyone would expect from an event of that format. I have to give credit of course to the breathtaking All Hallow’s College where the event took place. Unbelieveable place, I really do hope the next FnG will take place there as well! Then there was tournaments, nylon and steel both for women as well as open style mixed tournaments (nylon and steel again) for the all participants. My impression is that people enjoyed that immensely, though in my opinion pools would be much better (so everyone could have at least few fights before the knock out) rather than single elimination from the start. 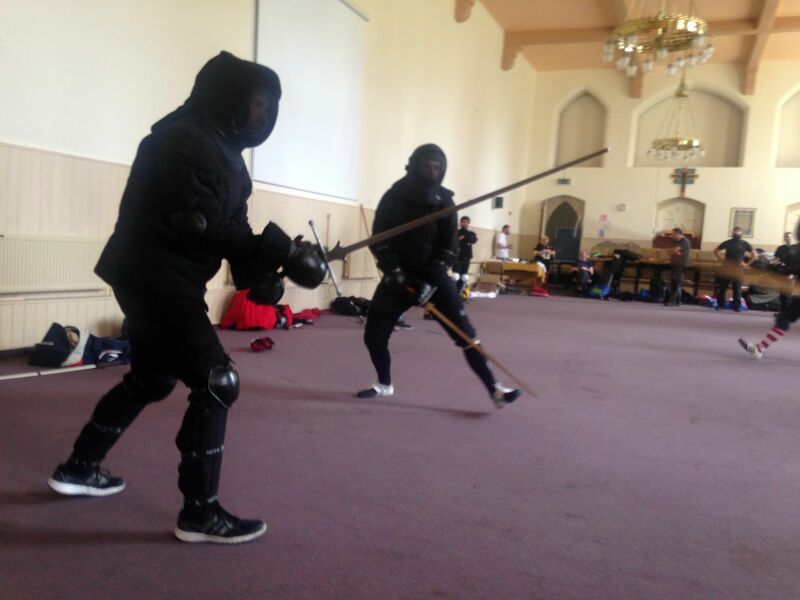 Still I was very happy with the performance of the Blademasters – all of us went through the first round with the exception of Brian who got knocked out by another Blademaster (to be fair, I have to say he had a knee issue so he wasn’t really fighting to his best level). Eduardo, Michael, Brian, Mattia, Dermot, Christine and myself were all participating in the tournaments and in my opinion we did exceptionally good, especially Mattia who came back with a Bronze medal from the open steel tournament! 1st and 2nd place were taken by the international fighters (UK & US)which means we were technically the best irish club on the event! Apart from that, it was really nice to catch up with people from the other clubs, we’ve talked alot and already planned some exciting stuff so I’m sure 2016 will be a very important year for Irish HEMA! 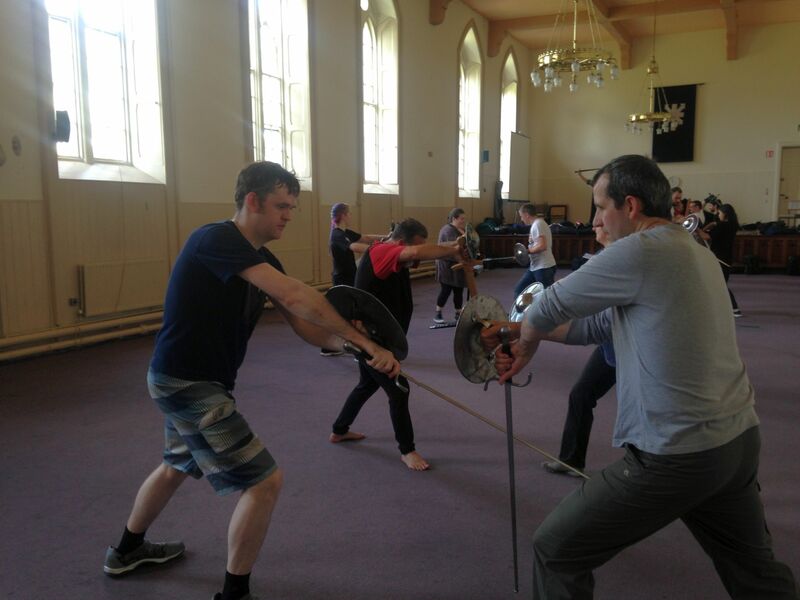 Polearms training is on tonight!